Stop Light Corner w 18 acres vacant land. 1,122ft frontage on Stony Island Ave and 697ft frontage on Joe Orr Road. Easy access to IL RT 394, RT 30 and I-80-94 and I-294 this location has easy access to Chicago land. Sanitary sewer on site. 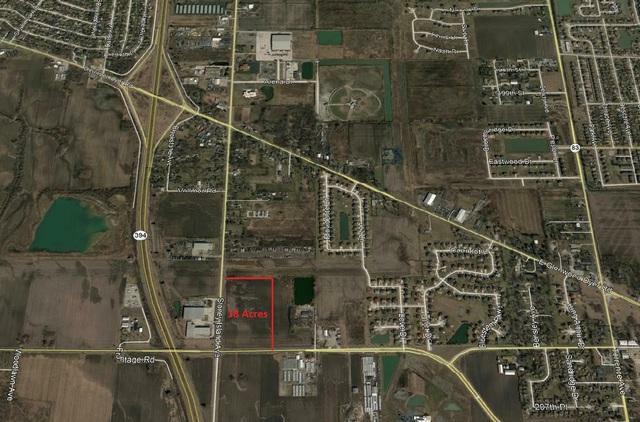 Property is in un-incorporated Cook County. Seller to divide and may consider dividing as a smaller parcel for your use. 18 Acres to be divided from larger parcel. NO Flood Plain or wet lands.